After a week of reflection and relaxation back at home, all in the wake of some chaotic travel scenes, I am still dreaming of that golden Kentucky sandstone. That pocketed, perfectly shaped rock, full of colours, streaks of black, orange, and golden yellow. Vast curving, steep walls, formed over millions of years by the beautiful Red River that carves its way through the gorge. A place we lived and breathed for a month of our lives and called home. Everything about this place is simplicity at its finest and so well set up. There are literally thousands of routes here with huge new crags being discovered all the time. 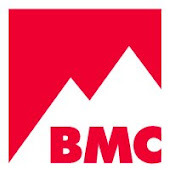 Routes up and down the grading scale, featuring all types of climbing styles and for all level of abilities. You are guaranteed to have a good time here. Full stop. From our base at Lago Linda’s in the southern region, you are never more than a 10-20 minute drive down the road to the various sectors. If you are stuck for partners then Miguels Pizza is the place to be. 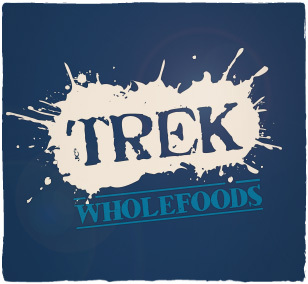 A true climbers hub. No trip to The Red is complete without a visit to see Miguel and to sample some of his world famous pizza. This guy has been selling his mouth watering dough for 30 odd years and the famous yellow sign is recongised in climbing circles throughout the world. Who could forget a place that offers over 50 different pizza toppings!?!? Fellow Brit Jerome Mowat on potentially one of the best 7c+'s out there. 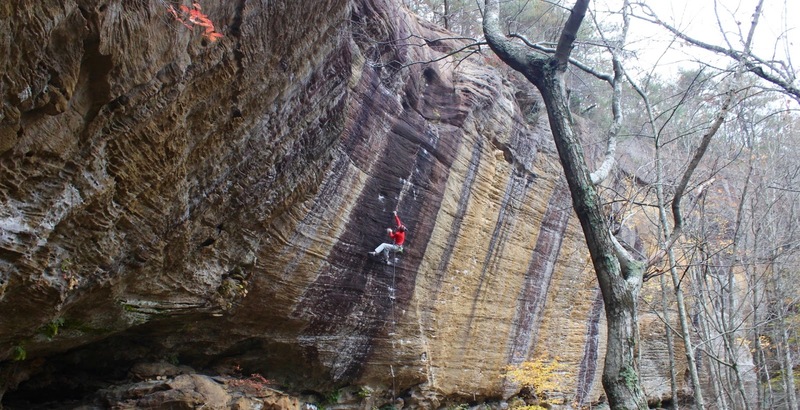 Access for popular areas has been secured by the Red River Gorge Climbers Coalition. 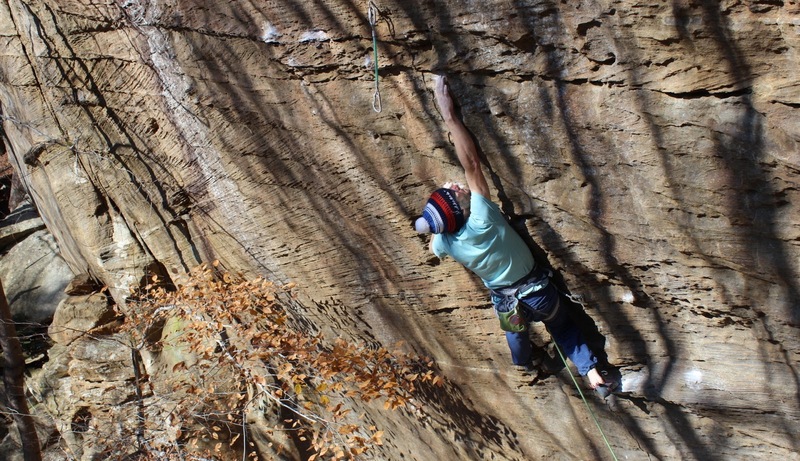 A non-profit organisation dedicated to securing and protecting open, public access to rock climbing in the Red River Gorge. 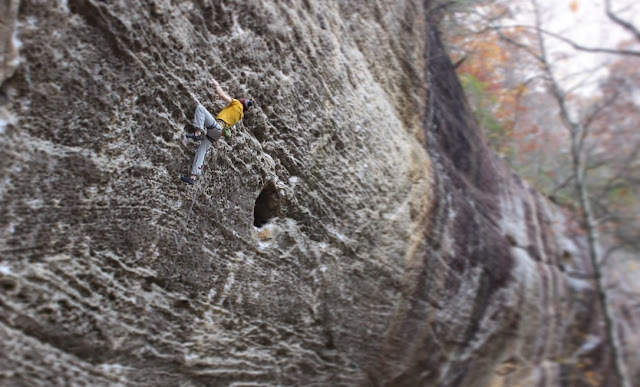 Since 2004 these guys have purchased over a 1000 acres of land in Lee County, Kentucky, enabling free access to hundreds of world class crags for climbers and all future generations to fully enjoy. We are dedicated to securing and protecting open, public access to rock climbing in the Red River Gorge area of Kentucky and promoting conservation of the environment on the lands where we climb. Scanning over my tick list for the month I can honestly say that each route scribbled down was a undeniable gem and an utter pleasure to climb. Not a single bad route among them and impossible to pick a favourite. This place is without a doubt somewhere I would happily return to year after year. I cannot say for sure when I might be returning to the Deep South of Kentucky, only that I know I will be back. Hopefully sometime in the near future so we can once more do battle with those steep walls and tackle the famous Red River pump! Having such a solid and supportive climbing partner on a trip like this is crucial and I’m really grateful to Mina for asking me in the first place but mainly for putting up with me for a month and making our trip so thoroughly enjoyable and one of the best I have ever been on. Big thanks also to everyone else we met along the way who all contributed to making our trip so memorable. The scene is incredibly vibrant, friendly and seriously strong too with everyone reading from the same page. Everybody is here to have a good time and go rock climbing. Wake up, climb, eat, sleep, repeat. Life is really that simple. A special shoutout to local strong guy Dru Mack who offered his guidance, knowledge and hospitality throughout our stay. Cheers bro and you are welcome here anytime. You know where we are! The Red River Gorge. Where to begin? Like many people I was first made aware of this place by watching the Petzl Roc Trip way back in 2007. That Youtube video blew me away and I remember watching it over and over again. All of the rock climbing worlds royalty battling it out on perfectly sculptured sandstone, busting out gravity defying moves to the ascending sound of ‘Allez, Allez’ and taking monster whippers through the air. I knew all the classics inside out. 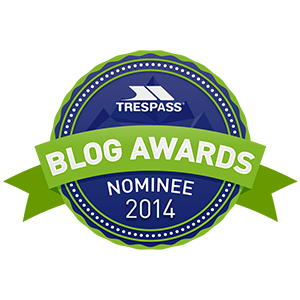 50 Words for Pump, Thanatopsis, Omaha Beach, Black Gold. The list goes on and on. 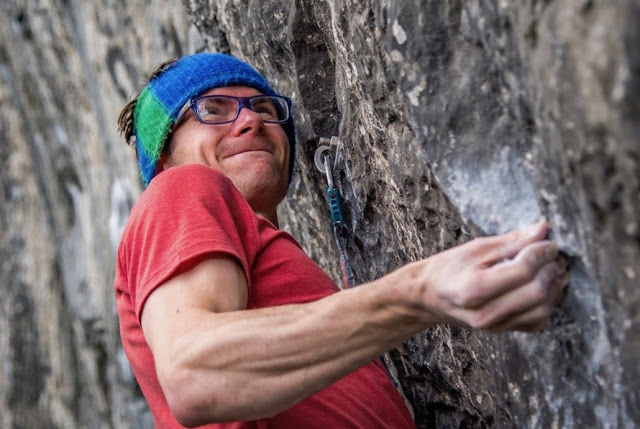 That video was one of those that fuelled my climbing psyche as a teenager, at a time when I was just beginning to delve into the world of hard sport climbing and to know what it felt like to try your hardest. Ever since then this sport climbing paradise has been a distant pipe dream of mine to one day visit. So this past summer when I got a call from my good friend Mina Leslie-Wujastyk asking if I would be interested in hooking up for a 4 week trip out here in the autumn, I jumped at the chance. Plans were made, flights and accommodation booked, and guidebooks brought. This would be an opportunity not to be missed. My first trip to the USA! Coming out here I had no firm agenda other than to just go climbing. I knew of The Red’s reputation for the pump. The type of pump that will blow your forearms to kingdom come. “The biggest holds you will ever fall off” seemed to be a theme amongst most people I spoke to who have been out here. We’ve been here a week so far and I think I can safely say that this is turning into the best climbing trip I have ever been on. 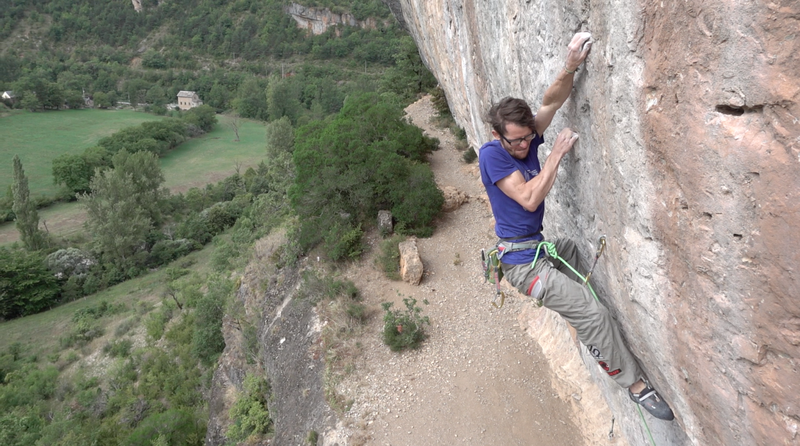 Ceuse 2014 will be a big one to top and that crag will always have a special place in my heart but The Red is going to seriously push it all the way. The crags out here are phenomenal. 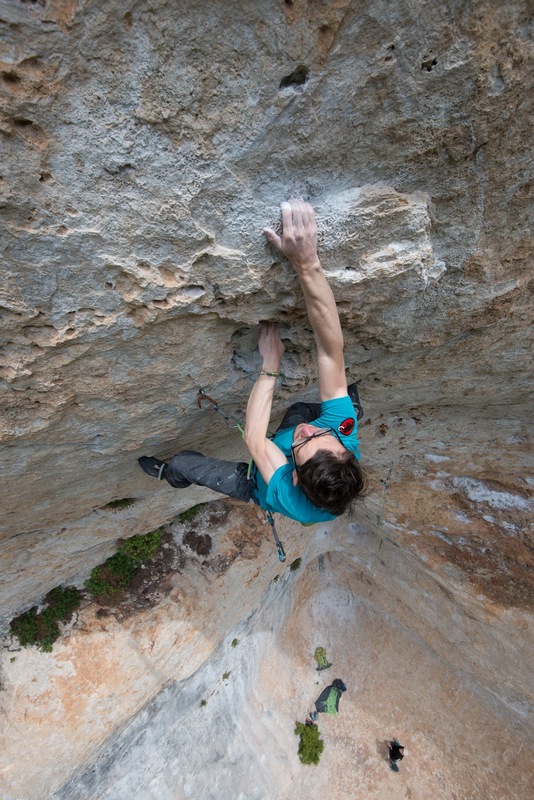 The routes on another level and the rock like nothing I have ever seen before. The textures, friction and the whole geology of the place is simply mind bending. For me, every time I pull on, the grip and feel of the rock feels like one of those perfect gritstone days, with minty fresh, crisp conditions. Those days when everything feels like you are basically cheating. Pockets and pinches, jugs and crimpers, are all sculptured in such a way that they fit your fingers inch perfect. These sandstone walls were made for climbing, no doubt about it. Piotr Schab goes for Pure Imagination. Life out here is pretty simple. We wake up to glorious morning sun shining through the frosty windows of our cabin. The heater goes on. We brew up, have breakfast, pack lunch, enjoy the morning rays some more, before throwing bags and ropes in our beast of a 4x4 and driving the short distance to the crags. We climb until dark, head back to our cosy hobbit hole setup, cook dinner while all the time chatting about our day, discussing beta, and making plans for the next day. Then it’s feet up, we update our tick lists, pour through the guidebook, maybe watch a film before hitting the sack for a good nights sleep but psyched out of our minds knowing that in 8/9 hours time we’ll be repeating the whole process again. Safe to say we are having a pretty good time out here right now. Now firstly I never actually owned a pair of the old style purple Quantum’s, although I did in fact once try a pair on many years ago. So while I am unable to comment directly from experience on the comparisons between the old and new versions, I can give a run down on the key qualities of the new design and offer a comparison to some of the other shoes in the 5.10 lineup that have similar attributes. 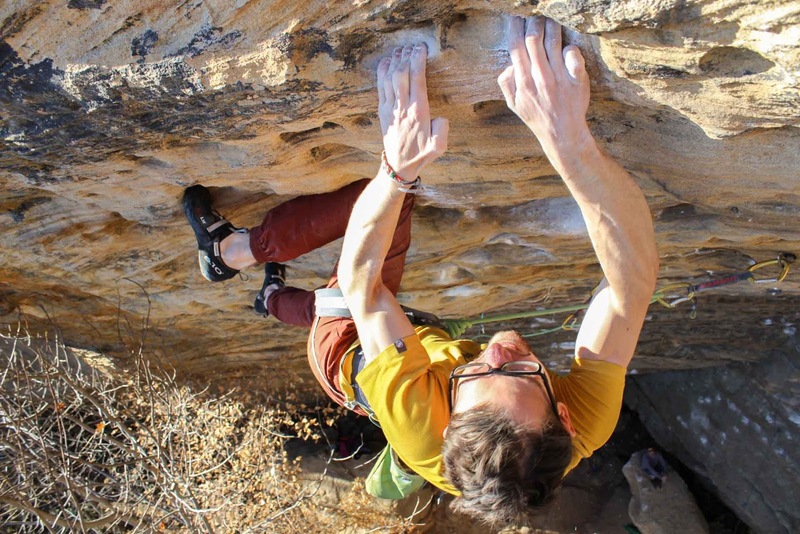 "For the redevelopment of the classic Quantum, we worked with the Huber brothers, Alex and Thomas, to develop an all-around performance shoe for any climbing setting. We started with a Stealth® C4™ outsole, the Hubers tackle a diverse range of climbs with many different angles and rock textures and C4™ is our most versatile compound. The shoe has a stiff midsole and lined Clarino synthetic upper, so it stays comfortable for extended periods of wear. The tongue is a perforated ariaprene, which conforms to the foot and provides unmatched breathability. The Quantum is built on a new last; it is slightly downturned and a bit wider than our traditional downturned lasts allowing your foot to sit in a more natural position." I first picked up a pair of the re-designed Quantum towards the end of last Autumn. It was late in the season and the limestone was beginning to give way to the onslaught of the winter months. However before it gave up the ghost entirely, I did get to give them a few run outs on my project at the time. They are a stiff, down turned boot that offer unparalleled support. They are a slightly wider last than before and come with a very sharp edge making standing on and pushing off small microscopic edges a dream. The design of the heel cup is all new compared its predecessor, feeling secure and tight around your foot, with zero dead space. 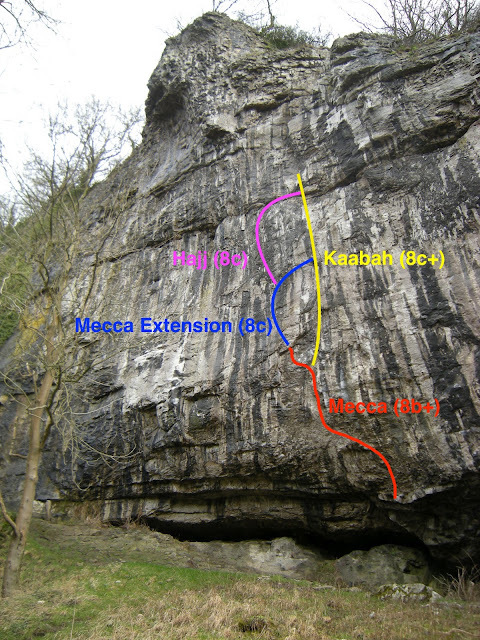 The route I briefly tried towards the end of the last season was Evolution at Raven Tor. 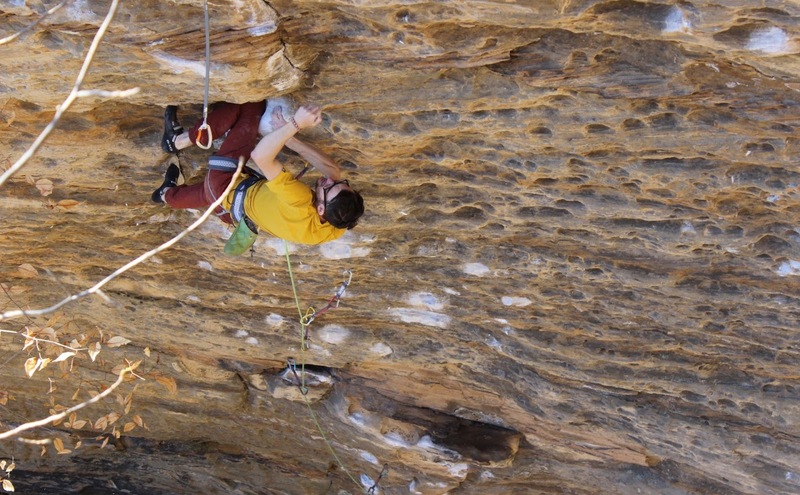 Anyone that knows anything about this route will know of the nature of its series of small holds throughout. The route obviously requires exceptionally strong fingers but it equally requires precise, intricate footwork. The Quantum felt like the perfect tool for the job from the moment I first gave them a run at the wall. The C4 sole brings a huge degree of sensitivity and stiffness throughout the entire shoe, enabling you to really generate some serious push throughout the toe box. The down turned toe gives them an aggressive feel, which along with the stiff edge, enables you to wrap your toes around those micro edges. Two other stand out features are the perforated tongues which give a very comfy and snug like feel and a lacing system that does the job of maintaining the tension as the laces are tightened up. A small detail maybe, but something that just adds that little bit extra. It was not long before the crux moves on the headwall of Evo started to become much more amenable and I suddenly found myself linking over two thirds of the route in a oner. Unfortunately that was the last time I got to use them as the season quickly came to an end, winter set in and shortly after Christmas so did my injury. However, I made sure they were apart of my line-up for my recent trip back to the Gorges du Tarn. I had a feeling they would suit the style of climbing out there and this proved to be the case. I have to admit I am a big big fan of the Teams. They are my go to shoe for a lot of stuff. Particularly abroad, but I made sure to give the Quantum's their fair chance and they honestly felt at home straight away. 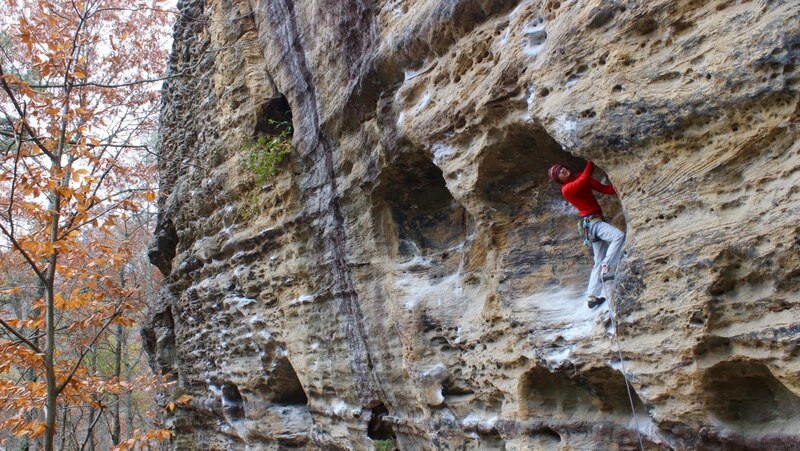 Performing just how I imagined them too on the steep pocketed walls of the gorge. Perhaps not a shoe (to begin with) for smearing, slab style routes but I am sure once bedded in and softened slightly they would feel equally good on such terrain. One thing to note is that thanks to the Clarino synthetic uppers, these shoes will maintain their shape and barely offer any stretch so keep that in mind when trying on. Obviously, as always with climbing shoes, there will be various and conflicting opinions but there is no doubt in my mind that this is another top quality, high performing shoe in the 5.10 range. From the road the Tennessee sector rises up above your head and appears to be a sheer blank wall of formidable and intimidating rock. Even when stood at its base, at the first glance upward it looks to be blank still and hard to imagine where the routes could possibly go. Then as you eyes slowly begin to adjust to the vast expanse of yellow, orange and grey limestone, the features gradually start to appear. You begin to see lines of weakness that weave their way through the rock and rise up and up into the sky. I have said this before but it is crazy to think that something like this has been so perfectly sculptured for climbing. The holds perfectly shaped. 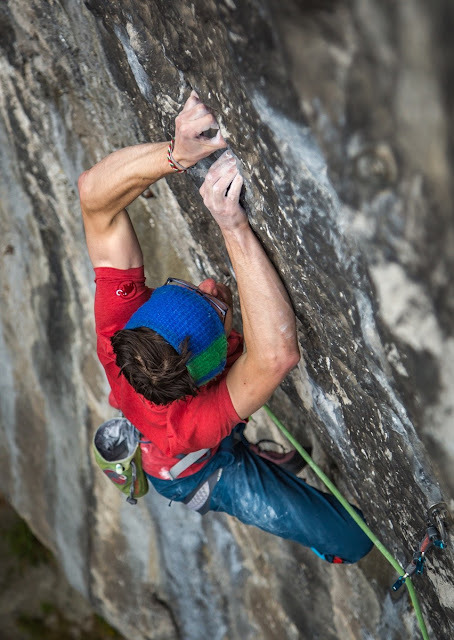 Immaculate pockets, crimps, jugs, pinches, undercuts, all that fit the shape of the aspiring climbers hand like a glove. This wall has it all and all in a perfect succession that end up yielding some of the finest selection of routes I have ever climbed. These walls have been purposely built for climbing. 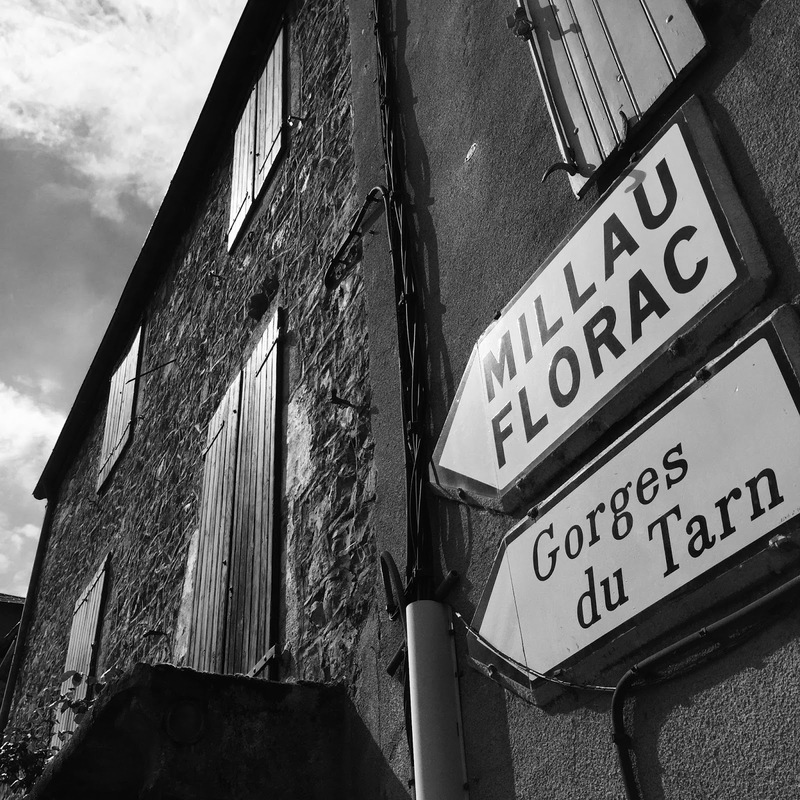 My month in France was without doubt one of the quickest months of my life and I now find myself back at home and reflecting on what was undoubtedly a wild few weeks. For me this trip was all about testing the waters (forgive the pun) with my elbow and just trying to climb in whatever capacity my body allowed. I still felt strong but honestly had no idea how things would go once consistent climbing on a daily basis kicked in. French life is such a breeze. 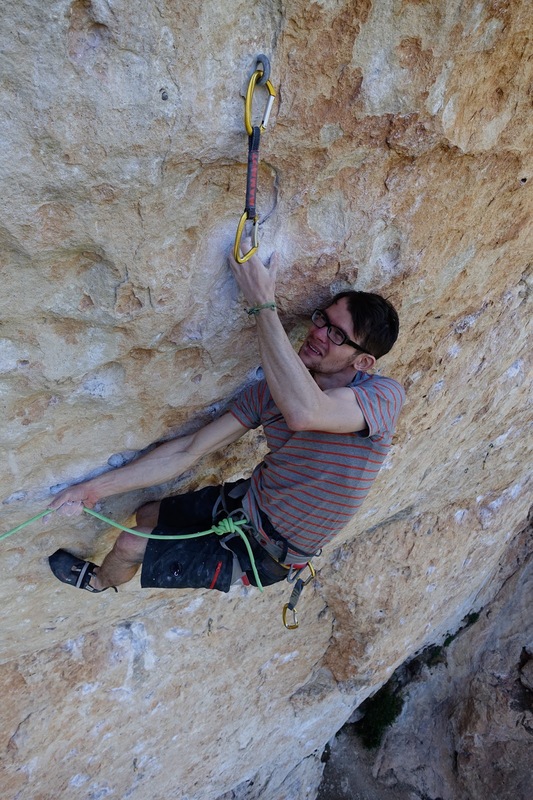 There is nothing better than waking up, chilling in the sunshine over breakfast, heading to the local bakery for fresh, warm crossiants before a day of climbing with friends, on spectacular rock amongst utterly breath taking scenery. I have thrown together a series of random diary notes and thoughts, jotted down during our rare rest days and the forced downtime while waiting for the numerous storms to pass over. Thanks to my buddy and travel partner Jon Clark for providing some pretty sweet photos as ever! The Jonte has been calling us since we arrived. We see its huge cliffs standing watch over our campsite every morning we wake. From this distance it is hard to judge the scale of these cliffs but they are undoubtedly impressive. Even more impressive though is how old some of these routes are and how fearless the first ascentionists must have been back in the day. Flicking through the guidebook the size starts to become a reality and our mouths water at the prospect of getting up there. One route in particular was on our list from the start. JC scouting out the huge sectors that form The Jonte! A 45 metre 8a with a cool name and rumoured to be a classic. When we eventually made the sweaty hike into the crag we were greeted by full blazing sun and scorching heat. Nice, but not conducive to pulling down hard! After a lengthy debate we made the choice of 'screw it, we're here now' and set off up the baking limestone with not much optimism. 45 sweaty minutes later and with almost a full bag of chalk gone, I made it to the chain in one piece! It was a fight, but a hugely memorable one. The view from the top was even more spectacular and I sat up there, slumped in my harness for a short while and breathed in the cool mountain breeze. We have all been there before but those occasions when something ends up going your way after completely dismissing all expectations, are quite often the sweetest. Once back on the ground I looked up and realised the entire crag had come into the shade! Typical. On-sighting was never my bag. I never practised it enough. Never went abroad. Was never fit enough, and always got ridiculously pumped. 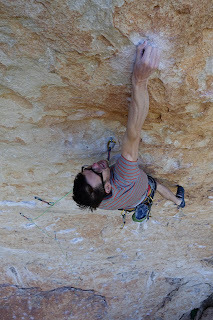 A few years ago now I adapted my climbing style and suddenly became hooked on the big pump fests. My eyes opened up to the fun game of on-sight climbing. The unknown aspect and thrill that climbing up a piece of rock, first go, with absolutely no prior knowledge of the moves ahead, can bring. One minute you can be shaking out in a nice relaxed rest, French blowing the chalk cooly from your finger tips. Then within a few seconds you will be fighting for your life on slopey non holds, searching frantically for something to grab, 10 metres above your last bolt. Staring at a monster fall. Fight or flight mode in full effect. The choice is simple, press on or take the plunge. Your brain goes into overdrive, trying to work out the most efficient sequence. Your lungs are working at full capacity, your heart is skipping beats and the oncoming lactic-acid laps at the door to every fibre in your body. Climbing in this style is a real rush for me. It may sound like a living nightmare but it is an exhilarating experience and seriously rewarding if you make it to the top on that first go, after such a hard fought battle. Tonight is curry night. We all need it. My arms are feeling a little jaded after topping out a 60 metre 8b on the Tennessee sector earlier this afternoon. Yesterday was 30 degrees, sunny blue skies. Today is 8 degrees, gale force winds and torrential 'showers'. 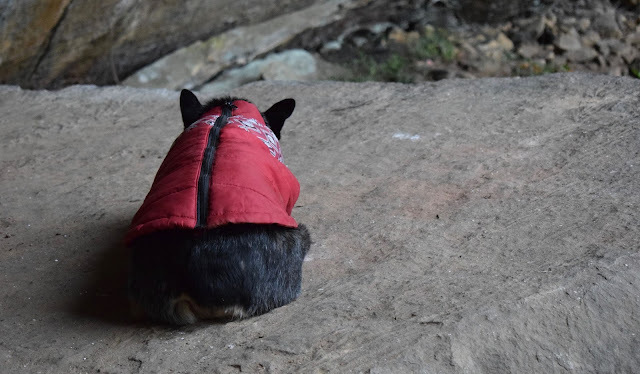 This morning was way too cold to climb so we wait only to try again in vain after lunch. Jon then gets lucky with a sweet on-sight of Mosaïk Man and the sun slowly begins to warm our bones. I decide to jump back on 'Le plaisir qui démonte Extension ' while there is a chance the weather window will hold. This is some route. 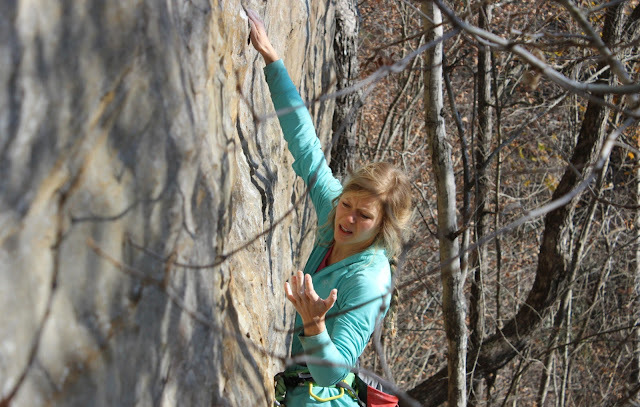 A real beauty with a series of complex and fun boulder problems that link together up a gently steepening wall. The climbing this time around feels almost effortless and I pull past the final crux and can finally relax on jugs of joy. Then, out of no where the skies turn black and within seconds I am blasted with huge golf ball sized rain drops. I have no option but to take sanctuary in the small cave two bolts from the top and wait for the 'shower' to pass. 10 minutes later the monsoon subsides and I sprint up the easy finish to the belay and then it is back to base to dry off! There are still so many routes to go at here. So many hard lines that I would love to put some real effort into. It will be some time before I visit this place again but I'll be back one day for sure. For now I shall be hanging out in the UK for a while and hopefully jetting off again in the not to distant future. Thanks to my partners Jon and Pete and finally a huge shout to my sponsors Mammut for allowing me the time and means to head out here. Check out my destination article in the spring addition of CLIMB magazine for a more in-depth look into the Tarn and surrounding areas. AND if you have yet to visit, make it your next trip. You will not regret it! The countdown is firmly on now for our return trip to France next month. The ferry is booked for the 28th April, the tick lists are currently being written up and the excitement amongst us all is building. 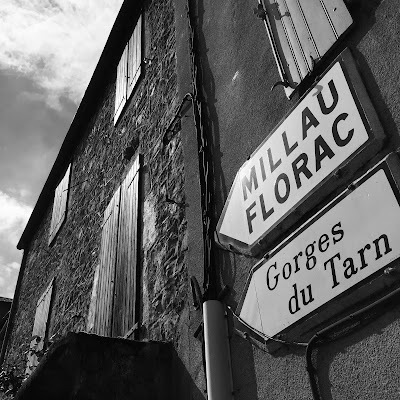 We'll be spending the whole of May mainly in The Tarn and potentially checking out somewhere new on the drive back north, towards the end of the month. My elbow rehab really seems to have taken a big step in the right direction these last couple of weeks. It is certainly feeling stronger all the time and I can now climb, for the most part, with virtually no discomfort at all. I am still uncertain and apprehensive, but it is extremely pleasing to see almost daily improvements. The tricky part has been NOT to over do things. It has all been a huge 'learning curve' in lots of different ways. I'm used to big, tough and intense sessions. So the hard bit has been having to force myself to stop, even when everything feels fine. A very fine balance. On the one hand you want to gradually up the intensity, but on the other you are cautious of pushing things too far. Finding that middle ground, that seems to constantly be shifting, is tough work! So the plan for this trip is to just take each day as it comes and gradually test the waters. I confess to not having a huge clue as to where my performance levels are at currently. I still feel strong but from a fitness/endurance perspecitive I may be lagging behind a little. 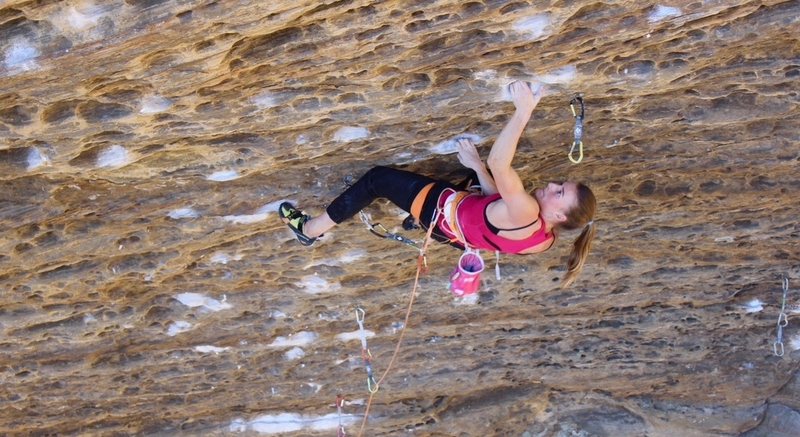 the bare minimum, meaning we can focus on the climbing even more. One thing Jon and myself are quite keen for this time though is heading to check out the big multi pitch stuff in the Gorge du Jonte. While we drove up through this gorge a few times last year we didn't have the time to climb here. It will certainly provide something a little different, and the crags look mega! Guess who's back in the saddle?! ?